Ford Mazda key match, the engine computer synchronization, replacement of the control module needs INCODE. 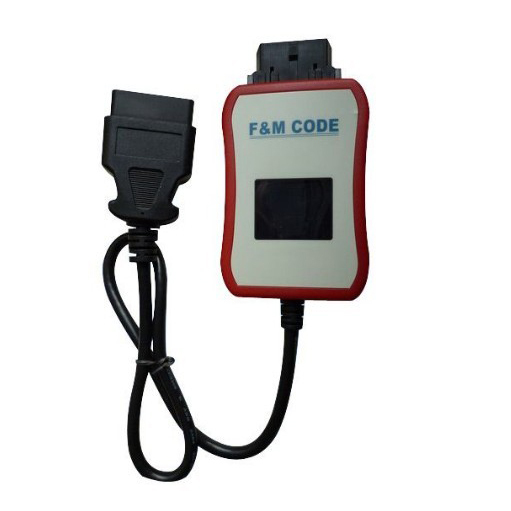 1.VCM Diagnostic software or OEM Key Programming Machine will show the OUTCODE on-screen. 2.In this time, enter the INCODE on the VCM or OEM Tools, before continuing to the corresponding function. 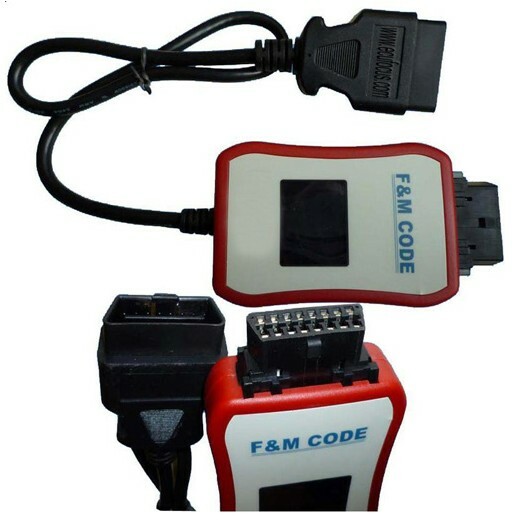 3.Just connect the F&M CODE between the Diagnosis equipment or OEM Key Programming Machine into your car's. 4.Tools Support: VCM/T300/AD100/SBB ... and so on, as long as the device prompts you OUTCODE, FMCODE will automatically display INCODE. (The old car does not support K line communication, we can provide INCODE). Other equipment help read out OUTCODE but doen’t support INCODE input. 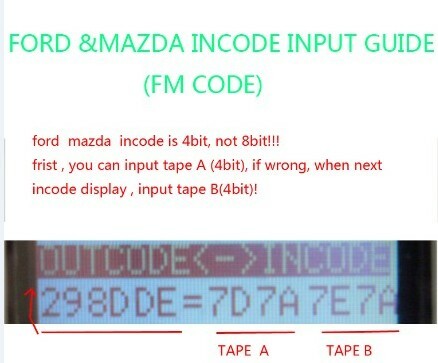 The F&M CODE device support both outcode and incode.